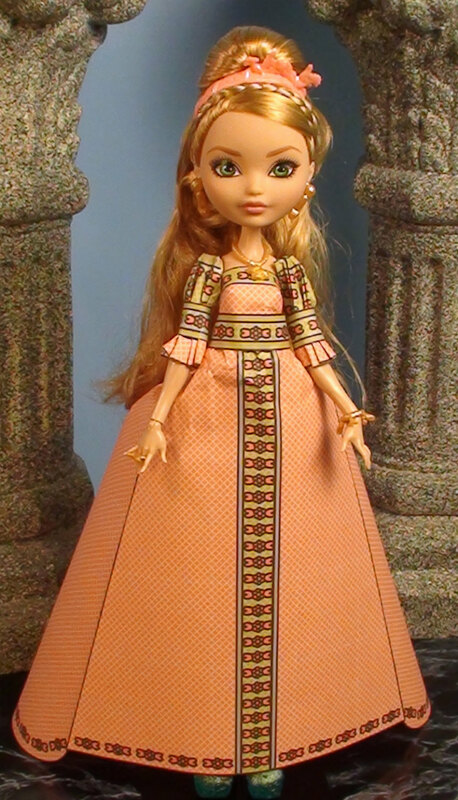 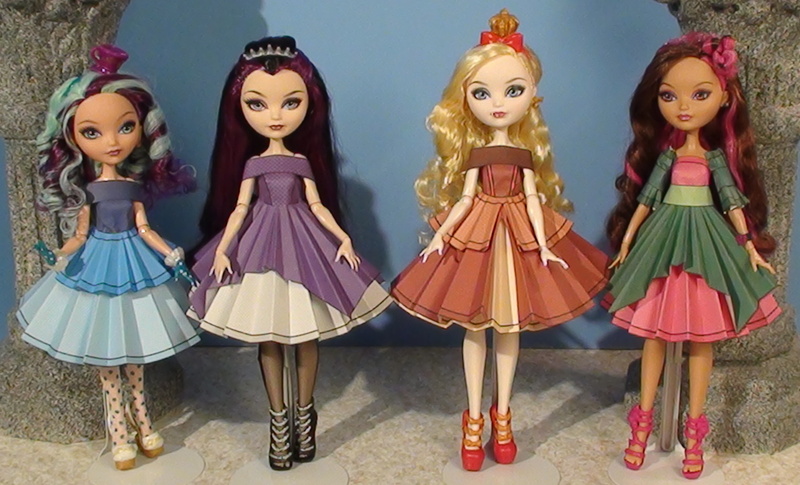 These Ever After High dolls are wearing dresses from the Emma dress collection. 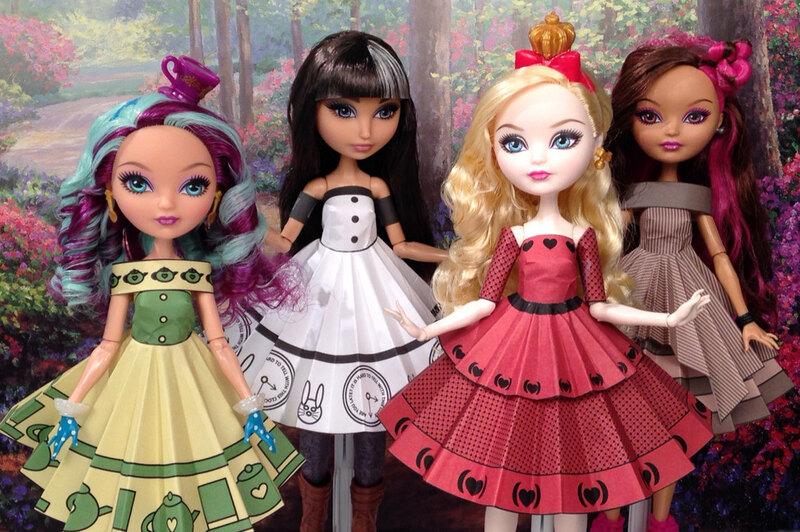 These dresses are awesome! 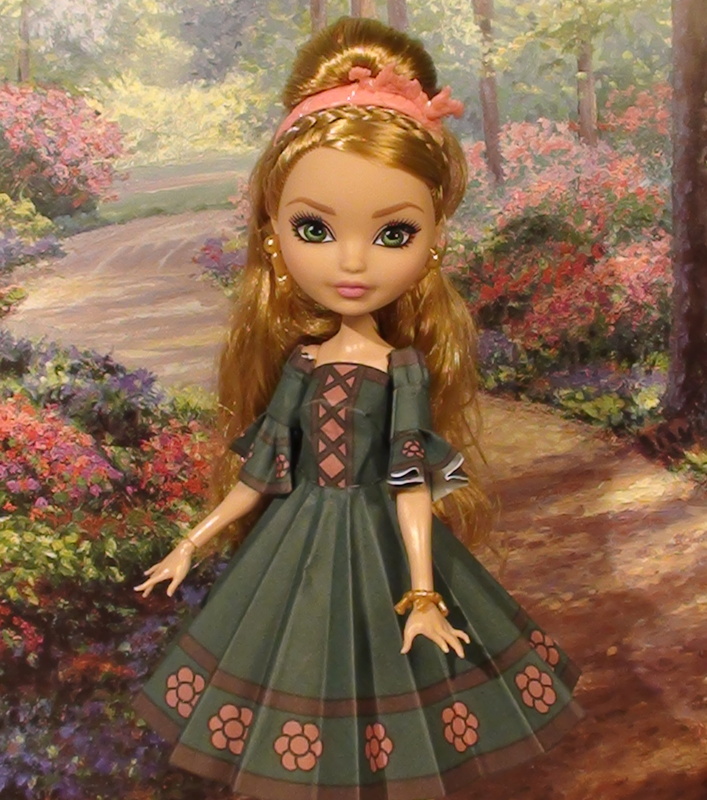 If only my printer worked I would get them all for my only doll, Apple White. 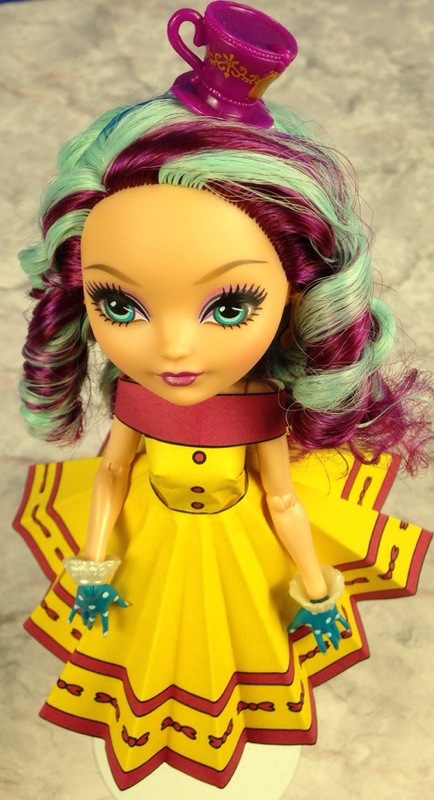 Thanks for being so creative!